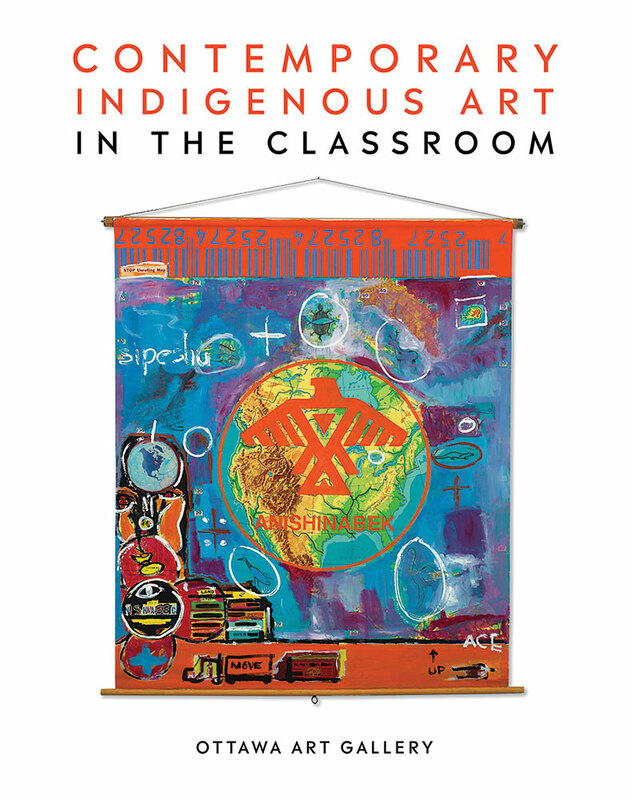 Ace is a featured artist in the upcoming publication Contemporary Indigenous Art in the Classroom. The publication, produced by the Ottawa Art Gallery, is scheduled for release in September 2018 through ABC Art Books Canada who specialize in the national and international promotion and sale of Canadian publications on art, architecture and design. Contemporary Indigenous Art in the Classroom provides elementary and high school-level teachers with curriculum-linked lesson plans designed by contemporary Indigenous artists. The goal is to build students’ cultural competence and respect for diverse Indigenous peoples, while encouraging critical thinking about colonialism in Canada. Ace’s Anishinabek in the Hood (147.3cm x 127cm, acrylic on a screen, 2007), featured as the cover image, teaches children about the role of maps in the colonial erasure of Indigenous peoples from Canada’s history. On September 25, 2018, the Ottawa Art Gallery hosted a book launch for Contemporary Indigenous Art in the Classroom. More information on the project can be found on the OAG website. The book is also available in downloadble PDF format.